V2582. HELGE ROSVAENGE, w.Otto Seyfert (Pf. ): Zueignung (Richard Strauss); Arias from Fidelio, Der Rosenkavalier, Tosca, La Fanciulla del West, Turandot, Pagliacci, Carmen, Il Trovatore, Andrea Chénier, Das Land des Lächelns & Lohengrin. [A truly outstanding solo recital in the glorious Carnegie Hall acoustic! 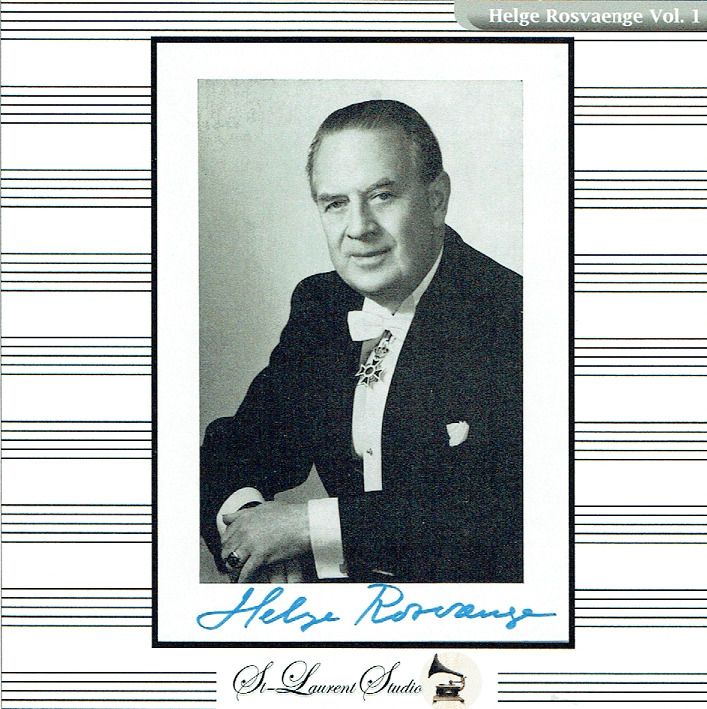 Rosvaenge's fabulous voice ricochets off Carnegie Hall's walls throughout, with a duly excited audience! The Danish competition in New York that night was no less than Lauritz Melchior singing at age 73, at Adelphi College!] (Canada) St Laurent Studio YSL T-763, Live Performance, 17 April, 1963, Carnegie Hall. 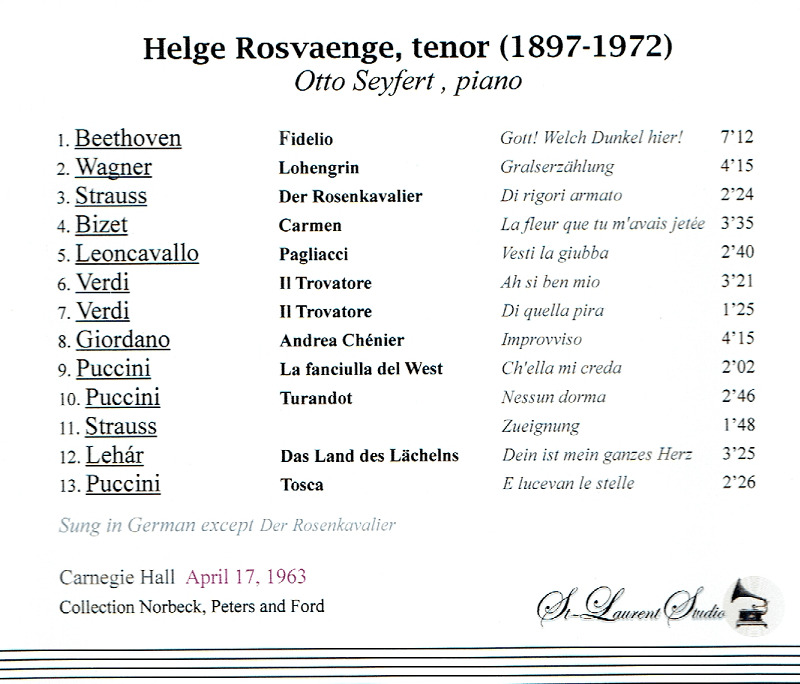 "At the age of 19, I went to Carnegie Hall to hear this famous tenor [above]. I had 'nose bleed' seats and remember vividly his opening number, the scene from Fidelio....I had never heard anything like that in my young life as an opera fan. 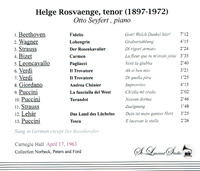 Thanks for the release of this Carnegie Hall recital and for your speedy delivery." "When the 66-year-old Danish-born tenor stepped onto the stage he was greeted with a great burst of applause and many of his fans stood up to emphasize their welcome....their enthusiasm was augmented with whistles and cheers....it is amazing that he could still sing with such extraordinary volume....their enthusiasm was certainly unbounded."